Adriane Leigh has been an artist her entire life without any formal art school attendance or training. From a young age Adriane was immersed in artistic creations. She painted every piece of furniture in her bedroom as a child, leaving her parents to question her introversion from friends and choosing to remain engulfed in artworks instead of "normal" childhood activities. Fast forward to today and Adriane has remained and retained her artistic spirit. Her medium extends from watercolor, oil, acrylic, markers, to anything that can be a form of creation including wearable artwork jackets. Her Cosmic Warrior line, a custom painted vintage collection of jackets are immersed in enlightening affirmations, her poetry, and positive manifestations. Divine Knowledge is her current artwork collection, an array of high vibrational spiritual art. 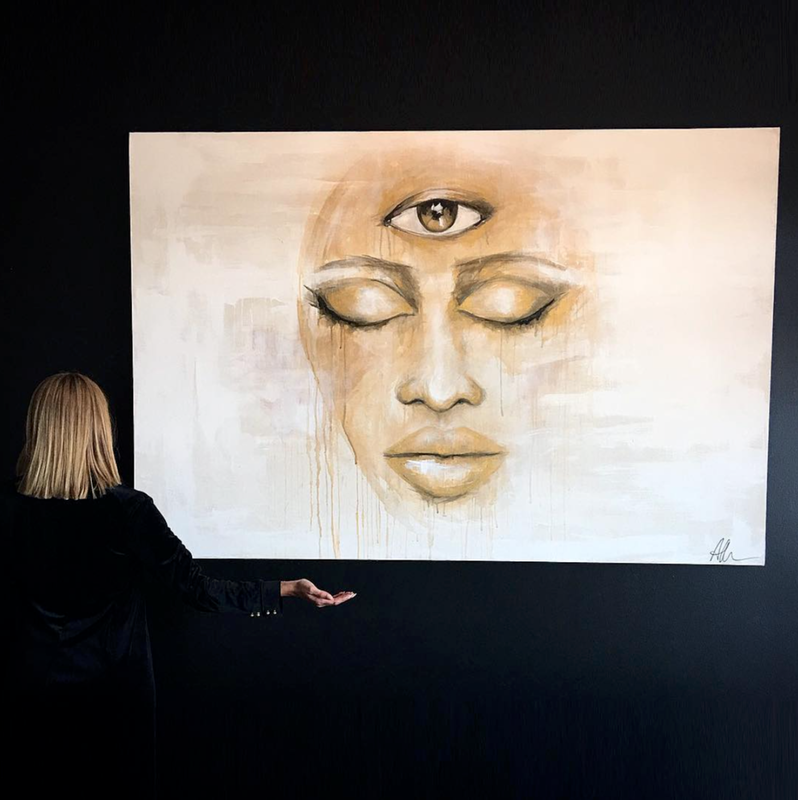 As an artist she believes her purpose to connect dimensions, inspire, open minds and fill peoples lives with impactful positive creations that will outlive her human existence.